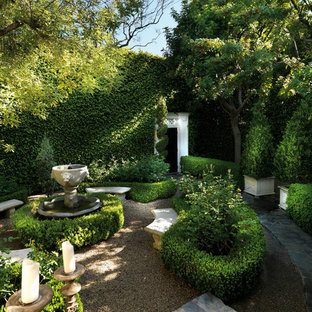 Inspiration for a small traditional courtyard formal garden in Los Angeles. 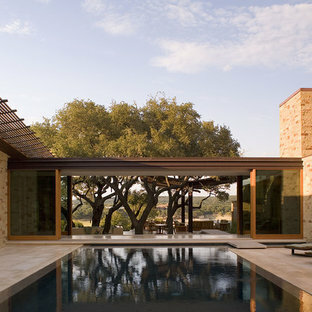 Inspiration for a large contemporary courtyard rectangular infinity pool in Austin with tile. Inspiration for a mediterranean exterior in Phoenix with stone veneer. 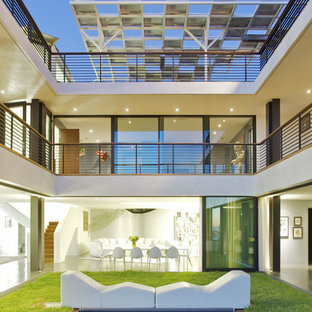 Modern courtyard patio in Los Angeles. This is an example of a traditional courtyard pool in Philadelphia. 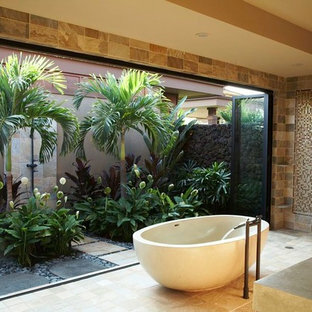 Inspiration for a tropical bathroom in Hawaii with a curbless shower. 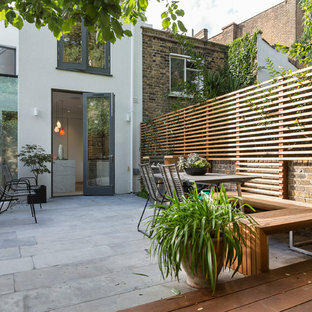 This is an example of a mid-sized contemporary backyard patio in London with concrete pavers and no cover. Inspiration for a country two-storey exterior in Boston with wood siding. Inspiration for a contemporary home office in Los Angeles with a freestanding desk. 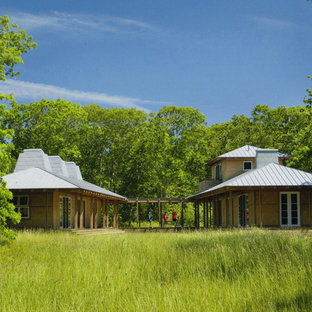 This is an example of a modern one-storey exterior in New York. An uplighted river rock bathtub is placed in the back of Javanese reclaimed wooden house. To indulge our bathing experience, this semi outdoor bathroom is given its own veranda with its own luscious vegetation and niche with stone figurine. The undercover patio is large enough to house an area for the outdoor kitchen and dining/sitting area. This is an example of a contemporary one-storey brown exterior in Melbourne. 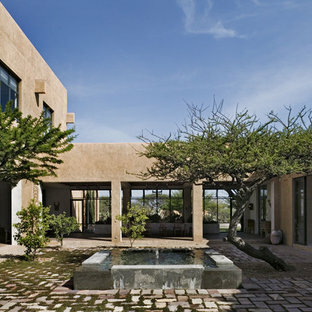 The home office looks onto a central courtyard housing a sculptural urn. The walls are lined with timber shelving and cabinets including the use of walnut travertine stone benches and floor tiles. This is an example of an eclectic entryway in Los Angeles with a single front door and a green front door. Inspiration for a traditional exterior in Charleston with three or more storeys. Storefront window wall blurs transition between garden court and central spine. Design ideas for an industrial hallway in Seattle with concrete floors and grey floor.